Wow wow wow "Google" it is.. Here we come again, with a big bang... This time it's for students, who are desperate to do their internship in this top company. I am sure that you cant wait to read complete post, then what are you waiting for hop on to the Cub. If you remember we had written an article on internship named "A valuable ship known as Internship", which is one of my favorite on CampusCub. It gives us immense happiness when were find any opportunities for student or those who have no experience, because they are the reason for this initiative. As a college graduate I can understand how tough it is to get any start in a good company, and that understanding actually had led to the creation of this CampusCub. I guess you all might always dream of working at Google and most probably you might be also aware of how tough it would be to get an job in Google. As I have heard some time back, the interview at Google is considered to be one of the most toughest interview in the world. In fact many of the aspirant consider that their resume shortlisting itself is an achievement, and yes that's very much true as getting an interview call from Google is as much tougher as clearing CAT exam with 90+ percentile. So, I warn you to take this opportunity very seriously and prepare yourself to showcase your best abilities. I am sure that they would grill you on Data Structure, so if you are very interested in that subject then don't hesitate to buy some books and do research on them. As, they might land you into your dream company. Google's software engineers develop the next-generation technologies for which we've become world-renowned. In addition to revolutionizing search technology, we use our world-class programming skills to innovate in a number of other areas as well. Our projects include working on advanced information-retrieval algorithms, massive scalability and storage solutions, and large-scale applications that enrich the user experience. We also work extensively on networking systems, advertising systems and complex transaction systems in consumer applications. Software Engineers at Google are researchers and developers who yearn to create and implement complex computer science solutions. Our engineers develop massively scalable, distributed software systems and also collaborate on multitudes of smaller projects that have universal appeal - which requires research, awareness, interactivity, and asking questions. You build strong competencies in data structures and algorithms, along with a technical fascination for how stuff fits together. You need to have a solid foundation in computer science in order to consistently come up with new ideas as well as strive for a deep understanding of our products and services in order to continually improve upon them. We focus on being a collaborative, global organization consisting of engineers with the highest levels of technical depth, programming skills. As a Software Engineering intern, you could end up working on our core products and services or those that support critical functions of our engineering operations. Whether it's finding new and innovative ways to advance search quality, building computing platform and networking technologies, automating the indexing of videos, or continuing to refine and scale complex auction systems (just to name a few), you will be developing solutions to some of the most challenging technical problems out there. You will research, conceive and develop software applications to extend and improve on Google's product offerings and collaborate on scalability issues involving access to massive amounts of data and information. 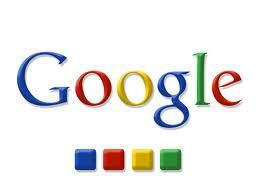 Research, conceive and develop software applications to extend and improve on Google's product offering. Contribute to a wide variety of projects utilizing natural language processing, artificial intelligence, data compression, machine learning and search technologies. Collaborate on scalability issues involving access to massive amounts of data and information. Solve all problems that come your way. Currently pursuing a BS, MS or PhD in computer science or a related technical field. Excellent implementation skills (C++, Java, Python). Knowledge of UNIX/Linux or Windows environments and APIs. Familiarity with TCP/IP and network programming a plus. To all recruitment agencies: Google does not accept agency resumes. Please do not forward resumes to our jobs alias, Google employees, or any other company location. Google is not responsible for any fees related to unsolicited resumes. now that you almost have all the information to proceed except the direct link where you can apply, and we are glad to help you out in that regard too. Just click internship opportunity with Google to take the challenge. Now that CampusCub is very much active and posting out at least two post per week, we are very much determined that we would bring many Internship opportunities to our visitors. But for that we strongly recommend you to keep visiting this blog frequently, and now that CampusCub make it much more easier for you to keep you informed about the latest posts on fresher Job opportunities through it's Facebook and Twitter pages, it make your life much more easier. You can also subscribe to CampusCub though RSS feed button on the right side of the blog. Well you are now provided with several options to connect with us. A request to our visitors is, please respond to us with either comments, like button, tweet button, contact us page for any of your queries, comments, feedback, suggestions. As those are the thing which keep us alive and make us feel that our cause is being listened. Also please share this post with your friends who might be in need.